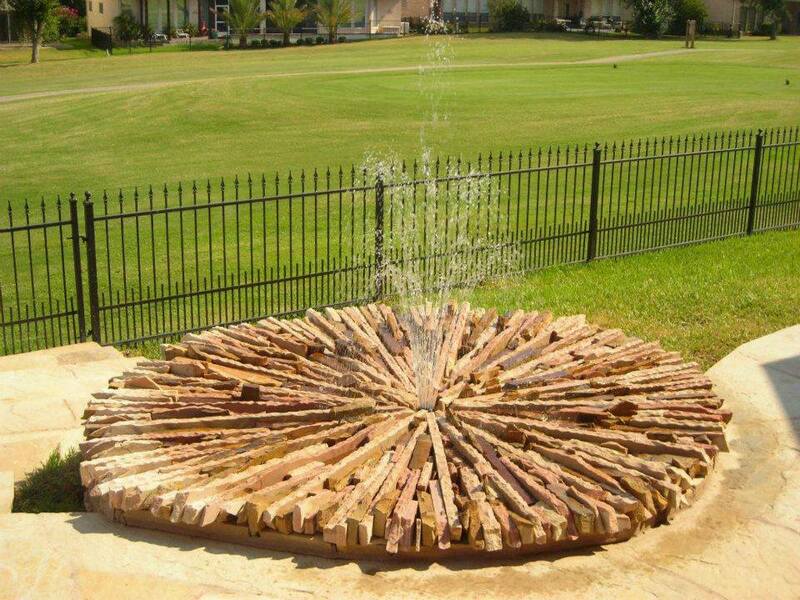 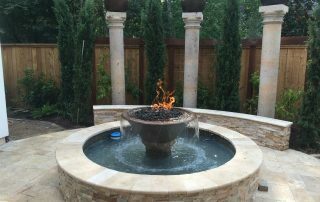 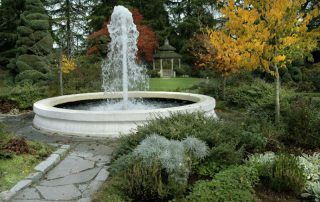 This fire pool features a solid copper bowl that is 36″ in diameter. 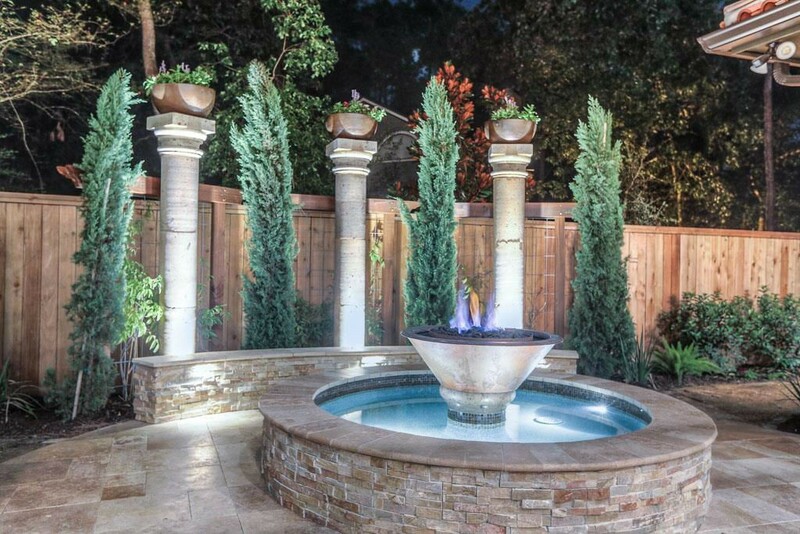 Natural gas is supplied directly from the gas meter via a 1″ gas line. 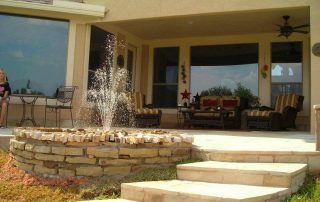 The pool is built much like a swimming pool complete with its own motor and filtration and also includes an in-line chlorinator. 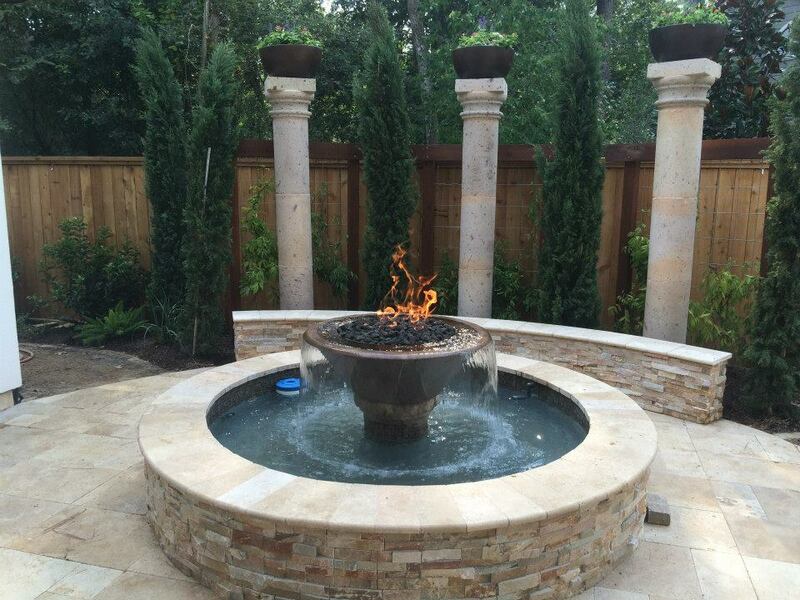 A water wall with two flanking fire pits helps to eliminate the street noise in this small backyard. 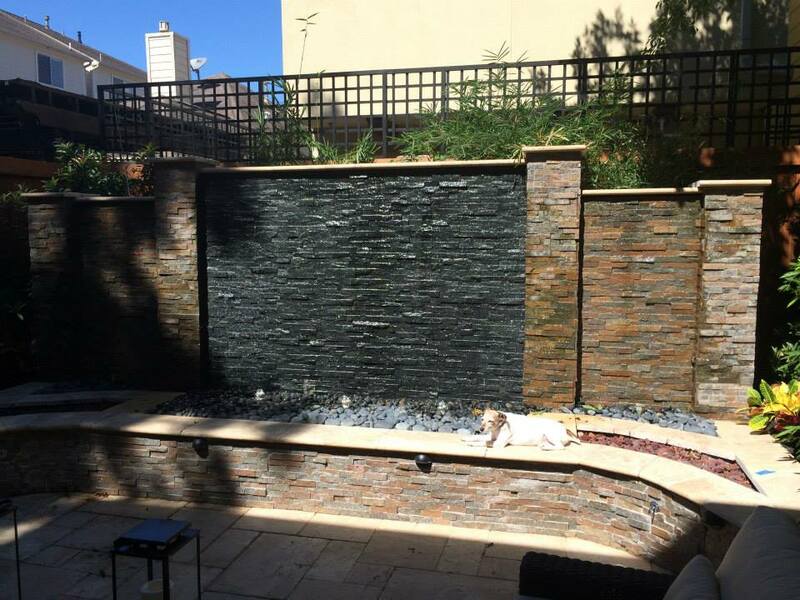 The flowing water makes a beautiful rippling effect as it completely covers the walls. 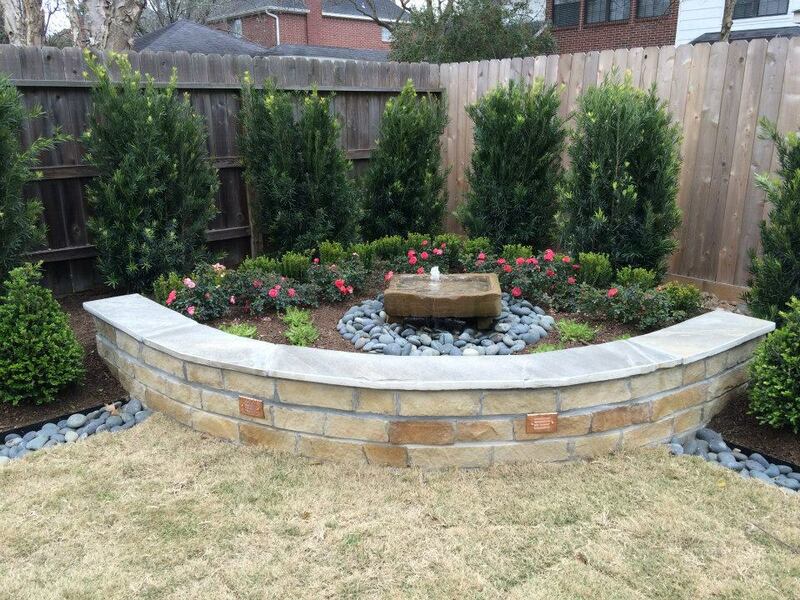 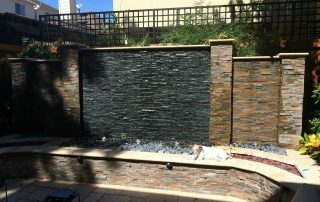 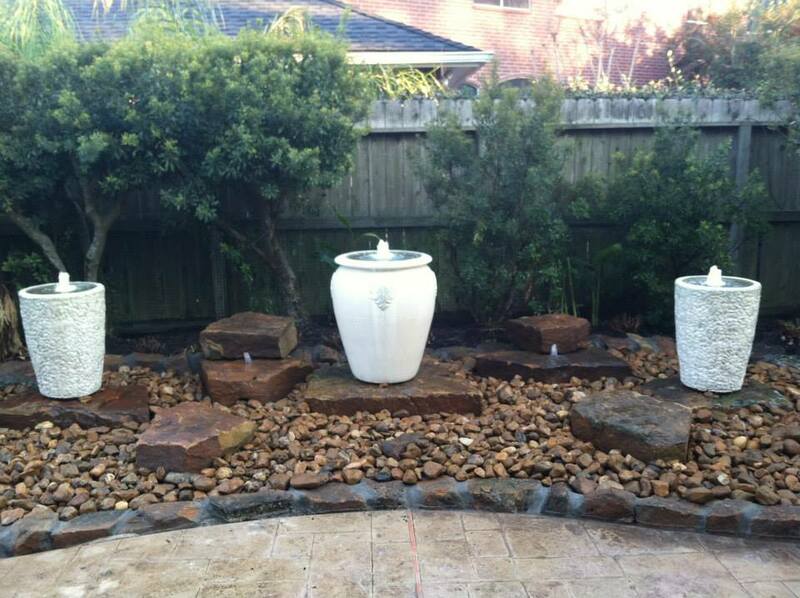 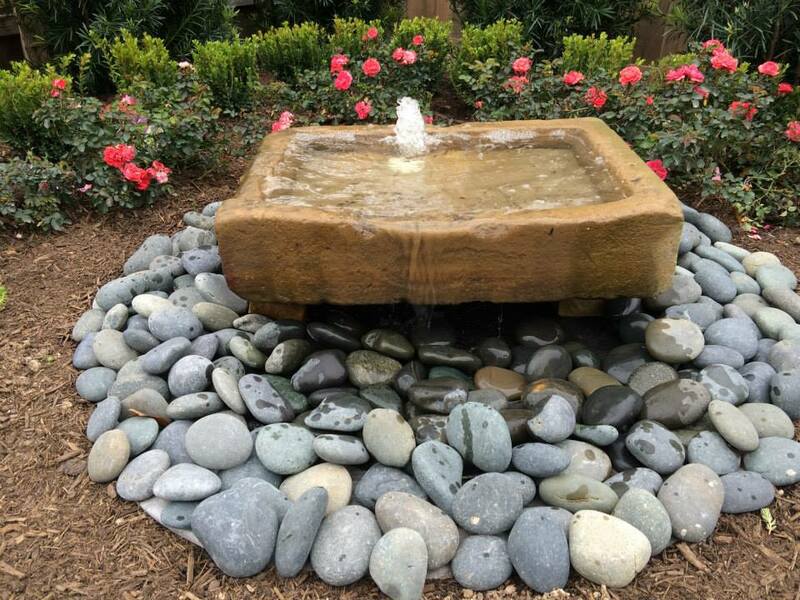 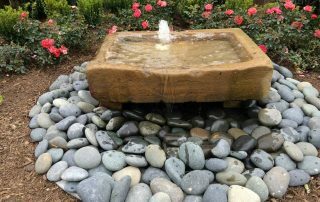 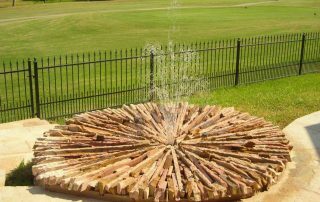 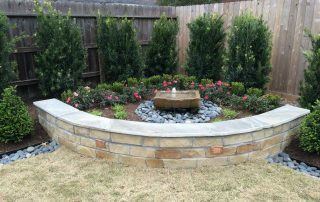 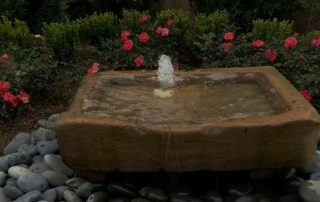 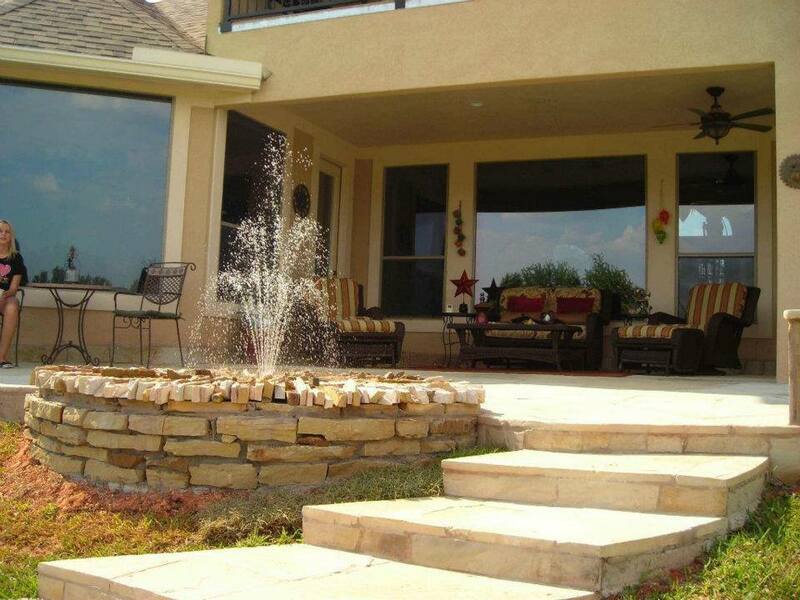 This small water feature is make from hand chiseled flagstone pieces and has a matching fire pit just on the opposite side of the patio which is not pictured. 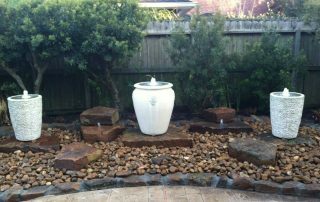 This hand carved moss rock boulder water feature provides a nice sound and also attracts thirsty birds.